The files you delete on your Mac are completely recoverable. It doesn't matter whether you dragged the files to the Trash, emptied the Trash, or permanently erased the files via Option + Command + Delete, you can recover the files. 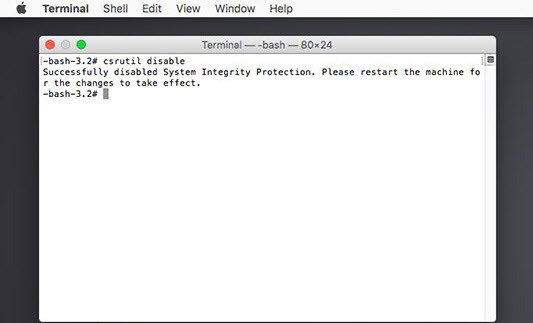 There are several ways to recover trash on Mac. Why is it Possible to Recover Trash on Mac? When you delete the file, only the entry is removed and the file moves to certain sectors of the hard drive. Unless those sectors of the hard drive are overwritten with new data, chances of successful recovery are high. It is also recommended that you perform data recovery immediately. The best way to recover emptied Trash as well as permanently deleted files on Mac is to use a data recovery software. iMyFone AnyRecover is one of them. The software has been designed to help both beginners and tech-savvy users recover any kind of deleted files quickly and conveniently. What makes AnyRecover better than most data recovery tools is its high successful data recovery rate as well as its several advanced and powerful data recovery modes. The software supports all storage mediums and file systems, so you can use it with confidence knowing that your deleted files will be recovered in no time. Recover deleted files no matter the reason behind the deletion e.g. system crash, virus/malware attack, lost partition, damaged hard drive, OS reinstall, etc. With AnyRecover, everything is recoverable. The software supports recovery of 1000+ file formats. Recover data from anywhere, whether it is an external hard drive, memory card, digital camera, internal hard drive, SSD, flash drive, or any other storage medium. 100% safe data recovery. The software does not overwrite any other files during the recovery process. 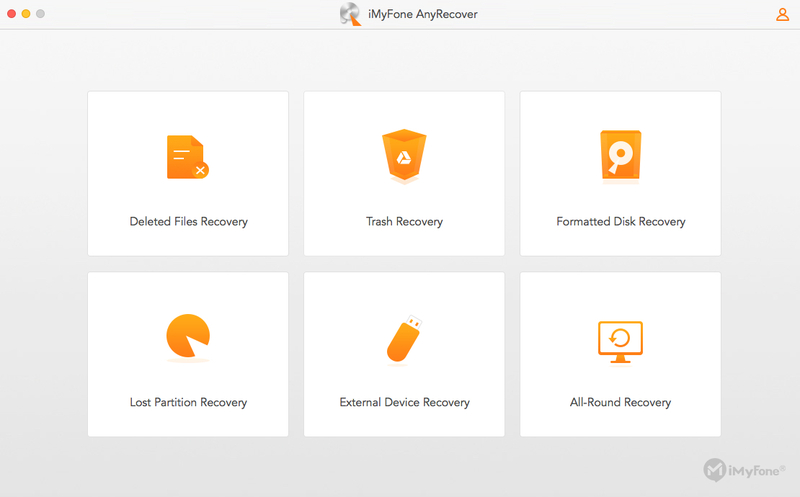 Thanks to the user-friendly interface of AnyRecover, data recovery is easier than ever. Simply choose a recovery mode, scan the desired path, and recover the files you want. Step 1. Launch AnyRecover on your computer. Click on Trash Recovery from the home interface of the software. Step 2. On the next screen, select the file types for scanning and then click the Scan button. AnyRecover will start the scanning process. Step 3. Once the scan is completed, you will see a list of recoverable files on the next screen. Select the files and click the Recover button. AnyRecover will start the recovery process. Another way to recover Trash on Mac is to use the Time Machine backup disk. Time Machine backup allows you to restore macOS system as well as personal files when required. Step 1. Connect your Time Machine backup disk to your Mac and then turn on the Mac. Step 2. Finder window will open. From there, launch Migration Assistant. It will ask you how you wish to transfer your information. 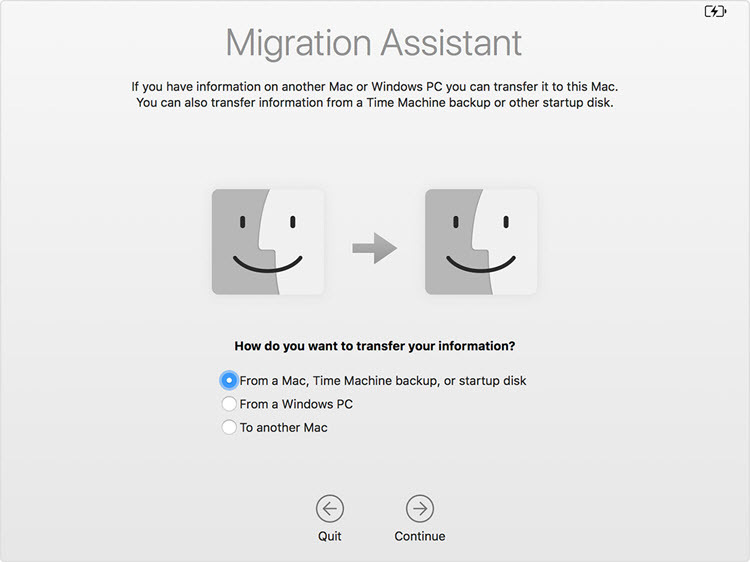 Choose the option to transfer from Time Machine backup and then click Continue. Step 3. Now, you will need to choose from a list of backups that will be organized by date and time. Choose your desired backup that you wish to restore and then click Continue to proceed. Step 4. Next, select the files that you wish to restore and then click Continue. The transfer process will begin. Depending on the size and number of selected files, the process might take several hours to finish. When the process is completed and all your selected files are restored, it is recommended that you restart your Mac. After restarting, log in to the migrated account, you will see your restored files there. Step 1. Restart your Mac and when it is starting, hold down Command + R buttons. Step 2. 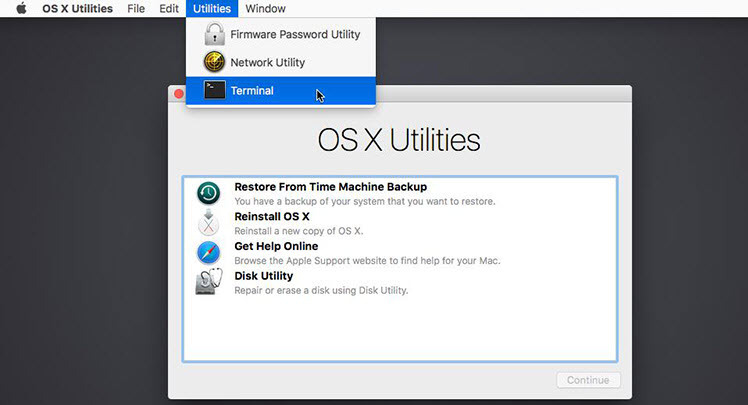 Click the Utilities > Terminal when you see a pop-up screen of OS X Utilities. Step 3. Now input 'csrutil disable' and hit the Enter key in the Terminal window. Step 4. Restart your Mac and undo empty Trash easily. Recovering files from emptied Trash is quite easy on Mac. It is possible because your deleted data does not get erased right away and moves to certain sectors of the hard drive. 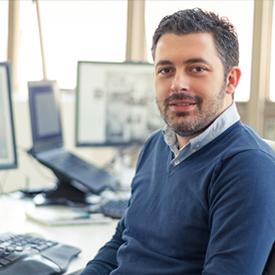 You can use a reliable data recovery software to recover those files. It is highly recommended that you use iMyFone AnyRecover for this purpose because it is the best tool to recover any kind of files from any storage medium, regardless of how the files got deleted.